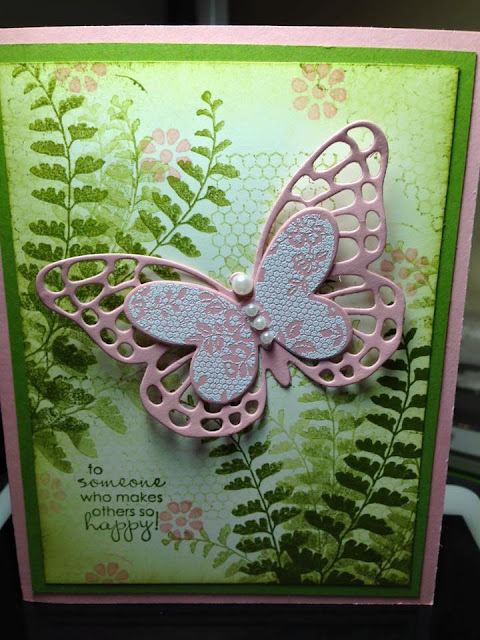 I was looking through Pinterest the other evening and ran across some ideas for my new stamp set, Butterfly Basics. I love the idea of stamping in varying shades of the same color to get the depth that came across in this example, where I got the idea at this blog. I used Old Olive for my ferns and Blushing Bride for the contrast colors. I am very happy about the way it turned out. Please follow the links below if you'd like to check out the products used.